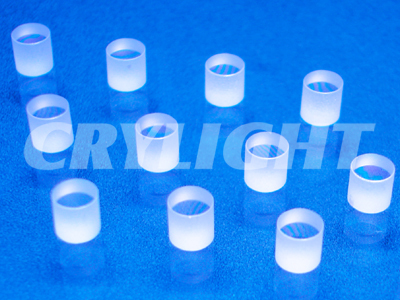 Optical Crystals | CRYLIGHT / CRYLIGHT Photonics, Inc. | レーザー機器　専門商社｜株式会社アルクゥズ　ALQUZE Inc.
Large size Sapphire crystals up to 3′ in boule are available from CryLight. As the hardest of oxide crystals, sapphire has a combination of optical and physical properties that make it the best choice for a variety of demanding applications. Sapphire maintains its strength even at high temperatures. It has good thermal properties, excellent electrical and dielectric properties and is resistant to chemical attack. These properties encourage the use of sapphire in aggressive environments where reliability, optical transmission and strength are required. 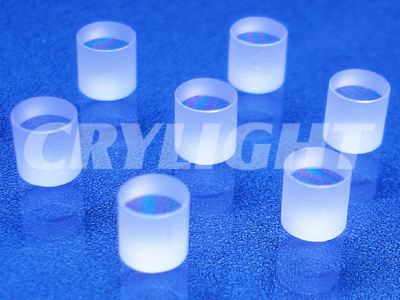 Undoped YAG Crystal is an excellent material for UV-IR optical windows, particularly for high temperature and high energy density applications. The mechanical and chemical stability is comparable to sapphire crystal, but YAG is unique with non-birefringence and available with higher optical homogeneity and surface quality. Up to 3 YAG boule grown by CZ method, as-cut blocks, windows and mirrors are available from CryLight.